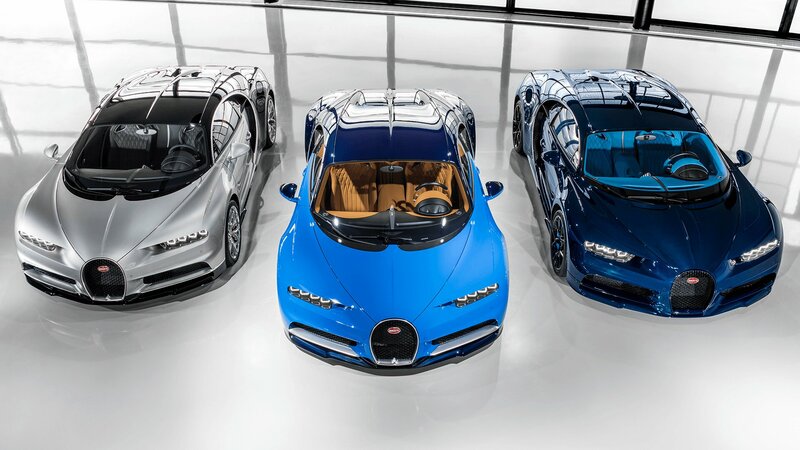 This week, the doors of Bugatti’s “Atelier” at the brand’s headquarters in Molsheim opened for the delivery of the first customer vehicles in the Chiron series. Three of the world’s most powerful, fastest, most luxurious and most exclusive production super sports cars are now starting their journey to their owners in Europe and the Middle East. They were sent off on their journey by the 50 or so production, quality assurance and logistics team members. Bugatti intends to produce up to 70 Chiron at its plant this year. The French luxury brand will be presenting a further customer vehicle at this year’s Geneva International Motor Show (9 to 19 March 2017). © 2017 Benjamin Antony Monn for Bugatti Automobiles S.A.S.